Addy & Uno is a brand-new 50 minute Family Musical on Theater Row (42nd Street, between 9th and 10th Avenue). The show inspires kindness and empathy and asks the important question of: What if Goodness Ruled the World? The show (created by Nava Silton, with music & lyrics by Bonnie Gleicher and direction by Donna Drake) has been lauded and celebrated by Playbill, BroadwayWorld, The New York Times, Time Out New York, Fox 5 News, Good Day Street Talk, Fox 5, Good Day New York, NBC News, CBS News, Speech to Stage, Mommy Poppins, Forbes Magazine, etc. As Uno, a child with autism, faces the challenge of competing in his school's math competition, his friends with varying disabilities - ADHD, visual, hearing and physical impairment - rally in support. Through puppets and soaring music, Addy & Uno is a heartfelt and hilarious journey celebrating hope, big dreams and the beauty of differences. For tickets or to learn more about the show, you can visit: www.addyanduno.com and/or www.telecharge.com. The Realabilities Educational Comic Book Series Curriculumconsists of 11 full comic books for each student and A Comic Book Companion and Disabilities in Depth Manual for Instructors. The 11 comic books teach about 11 different disabilities (Autism, ADHD, physical, visual and hearing impairment, Dyslexia, Down syndrome, Tourettes syndrome, Williams syndrome, Stuttering and Traumatic Brain Injury) and teach kindness, sensitivity, empathy and understanding, while promoting a strong stop bullying platform in the schools. The Comic Book Companion allows teachers to extend the important messages of the comic books by offering discussion questions and activities the students can consider and do. The Disabilities in Depth Manual offers comprehensive information about all ten disabilities in formats customized to both children and adults. Just under two dozen schools have tested out various iterations of the comic book curriculum and we have seen incredible change from pre- to post-testing on third through fifth graders' attitudes, intentions and knowledge of disabilities, and improved stop bullying knowledge and attitudes following the curriculum. ***If you’d like to see Results of the Paired Samples T-tests, the Analysis of Covariance or basic Descriptive findings, please contact us and we will be delighted to supply them. Various iterations of The Realabilities TV Show and Comic Book Series have traveled to Elementary Schools in Manhattan, NY (N=76 students), Brooklyn, NY (N=152 students), Albany, NY (N=68 Students),Teaneck, New Jersey (N=57 Students), and Baltimore, Maryland (N=87 Students). The New Teachers’ Realabilities Pack (Including the first 5Realabilities Comic Books, the Comic Book Companion and theDisabilities in Depth Manual) will be tested in schools in Manhattan, NYthis summer and in Baltimore, Maryland, Skokie, Illinois and Denver, Colorado in the Fall! If your school is interested in the Realabilitiestesting or in the Realabilities package this fall, please contact us as soon as possible to ensure you have all of your materials in time! Jessica Altchiler, Senada Arucevic, Lauren Ashbrook, Michael Corning, Alicia Ferris, Roberta Frossard, Rachel Hout, Emily Hotez, Vanessa Norkus, A. Kristina Keyser, Patrick Riley, Michael Rojas, Rebecca Ruchlin, Jennifer Santamaria, Danielle Schlough, Kelly Tarbell, Avery Toland, and Carol Wagner. Silton, N. R. (2019). Scientific Concepts Behind Happiness, Kindness, and Empathy in Contemporary Society (pp. 1-321). Hershey, PA: IGI Global. Silton, N. R. (2017). Family Dynamics and Romantic Relationships in a Changing Society (pp. 1-439). Hershey, PA: IGI Global. Silton, N. R. (2017). Exploring the Benefits of Creativity in Education, Media, and the Arts (pp. 1-458). Hershey, PA: IGI Global. Silton, N. R. (2015). 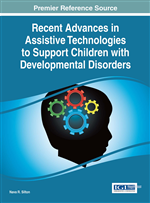 Recent Advances in Assistive Technologies to Support Children with Developmental Disorders (pp. 1-424). Hershey, PA: IGI Global. Silton, N. R. (2014). Innovative Technologies to Benefit Children on the Autism Spectrum (pp. 1-343). Hershey, PA: IGI Global. 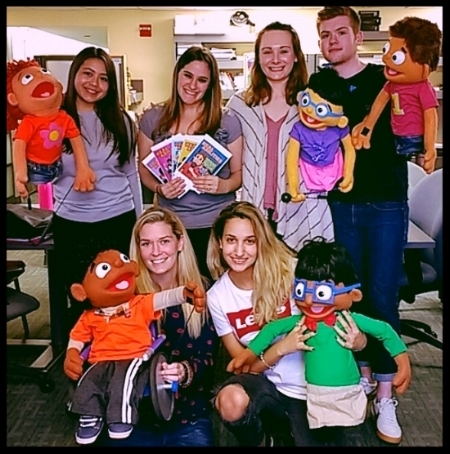 Realabilities: The Development of a Research-Based Children’s Television Program to Address Disability Awareness and a Stop-Bullying Platform in the Schools. Silton, N.R., Arucevic, S., Ruchlin, R. & Norkus, V. (2014). In Innovative Technologies to Benefit Children with Autism, IGI Global Publishing. Silton, N.R. & Brandwein, A. (2010). Encyclopedia of Child Behavior and Development. Springer Science and Business Inc: New York, NY. Silton, N.R. (2010). Encyclopedia of Child Behavior and Development. Springer Science and Business Inc: New York, NY. Benefits of video and eye-toy gaming for children with autism. Silton, N.R., Arucevic, S., Ruchlin, R., Ferris, A. & Zackchewski, Y. (August 2014). Using Television and Book Media to Prevent Bullying and to Foster Sensitivity Toward Children With Disabilities. For presentation at the American Psychological Association (APA) Annual Convention, Washington, D.C.,August 7-10. Silton, N.R., Ferris, A., Keyser, K., Wagner, C., Corning, M., Rojas, M., Schlough, D. & Toland, A. (2014). Considering Grade in the Impact of Realabilities Television Show and Comic Book Series on Children’s Cognitive Attitudes and Behavioral Intentions towards Children with Disabilities, Greater New York Behavioral Conference (GNYBC), November 9. Silton, N.R., Ferris, A., Keyser, K., Wagner, C., Corning, M., Rojas, Schlough, D. & Toland, A. (2015). Considering Gender in the Impact of Realabilities Television Show and Comic Book Series on Children’s Cognitive Attitudes and Behavioral Intentions towards Children with Disabilities, Eastern Psychological Association (EPA), Philadephia, PA, March 6-8. Silton, N.R., Ferris, A., Keyser, K., Wagner, C., Corning, M., Rojas, M., Schlough, D. & Toland, A. (2015). Realabilities: The Impact of a TV Show and Comic Book Series on Children’s Perceptions of Children with Disabilities,Hunter College Psychology Conference, April 26th. Silton, N.R., Ferris, A., Keyser, K., Wagner, C., Corning, M., Rojas, M., Schlough, D. & Toland, A. (2015). Realabilities: Fostering Positive Perceptions towards Disabilities through a TV Show and Comic Book Series, Pace Psychology Conference, May 9th.